Sonoma County is a traveler’s paradise. It boasts fantastic wineries, natural hiking trails, spas, golfing, and much more. However, Sonoma County needed a way improve the quality of tourism by effectively distributing information to their visitors. 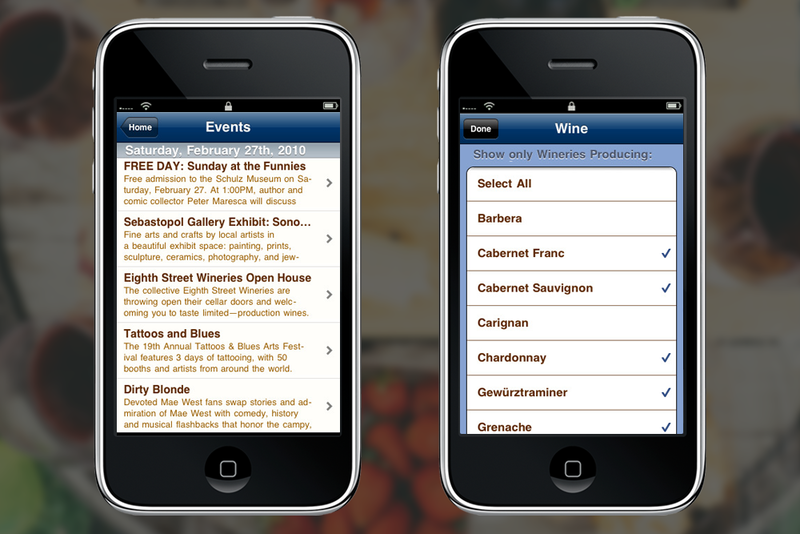 They wanted to promote events, specials, and local businesses within a mobile application. The information dispersed needed to be timely, accurate, and able to direct people who were unfamiliar with the area to different attractions based on their interests and preferences. 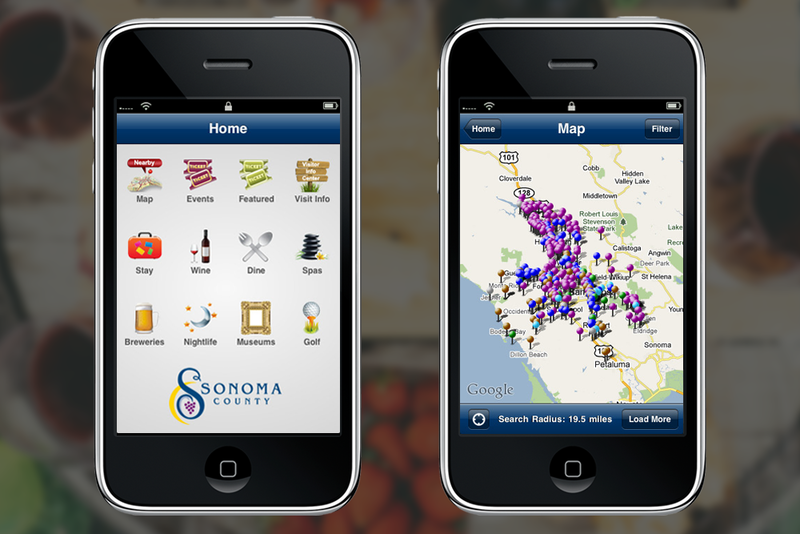 With the help of its partners, viaPlace created the only app a Sonoma County tourist needs by compiling data on attractions such as vineyards, golf courses, spas, museums, and nightlife. With one tap, users can find hundreds of events, specials, and places; create their own custom visit based on distance or activity preference; and receive turn by turn directions to each location. After they enjoy their time, they can share their experience via the application’s social media integration. Administrators can easily create, manage and update their events and customize promotions and messages for users.